Madalena is from Lisbon, Portugal. She holds a graduate degree of Social Work from the Portuguese Catholic University. Her interest in social-humanitarian issues led her to seek sustainable development and durable solutions to improve the living conditions of people. With the goal of improving social development and contributing to sustainable long-term solutions, Madalena has worked with different projects around the world. Before the Sauvé Program, she worked with the UN High Commissioner for Refugees in Geneva; on a resettlement project in Mozambique; and on child protection in North Lisbon in an Urban and Social Rehabilitation Office. Madalena has devoted her career to intervening at the highest possible level to “help to change the course of our civilization in terms of health, education and everything that has to do with the unfair world”, wrote one of her referees. 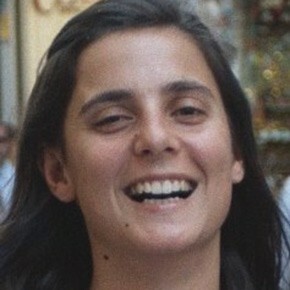 After almost 4 years in East-Timor working for the Timorese Government as Advisor at the Ministry of Social Solidarity for the establishment of Social Services, Madalena moved with her family to Brasil and is now pursuing a Master’s Degree in Social Work at Pontificia Universidade Católica de São Paulo. The subject of her research is related to the impacts of Social Assistance programs to the emancipation of its beneficiaries in the long term. The Sauvé Scholarship allowed her to improve her knowledge about community organizing and development. With her background in social work, she examined and learned from the social welfare network in Montreal, interacting with community leaders. She believes that the knowledge gained of community organizing/development projects and organizations will enhance her future projects.